Be the first to hear about their new releases and deals. 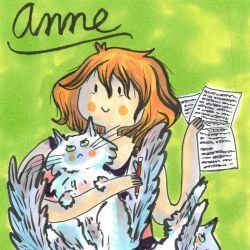 Download the Booksprout app and search for Anne Cleasby today! Anne Cleasby lives in the English Lake district with her two cats. She writes in multiple genres and has published paranormal fantasy romance under the pseudonym ‘Annalisa Carr’. At present she is concentrating on her dystopian series ‘Degrees of Freedom’. As a child Anne wanted to be a scientist, wear a white coat and explore outer space. She worked as a scientist for a very long time, but never got to fly a spaceship or even travel beyond the solar system. This was a huge disappointment given the reasons for her career choice, so eventually she made up stories about the future instead. Probably just as well, as she is claustrophobic. (have you seen the size of those space capsules? ).